Q1. A vessel displacing 16500 tonnes has KG, 7.50m. 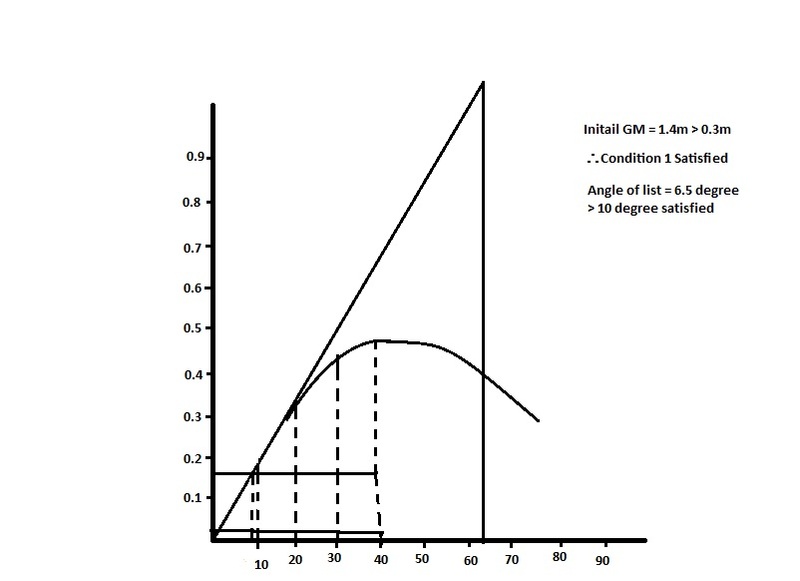 Calculations of grain shift give the following data. 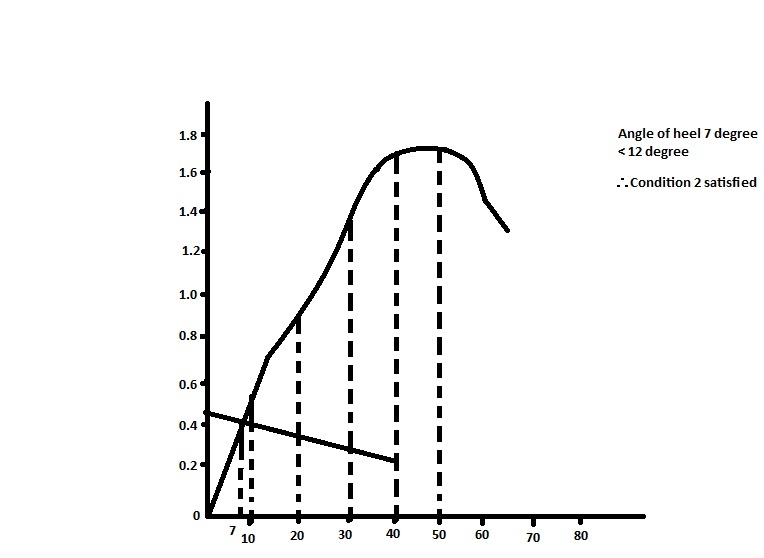 For the given displacement and KG the vessel has the following values of GZ at the angle of heel given. Verify whether the vessel satisfies intact stability requirements for grains cargo. Angle of flooding is 400. 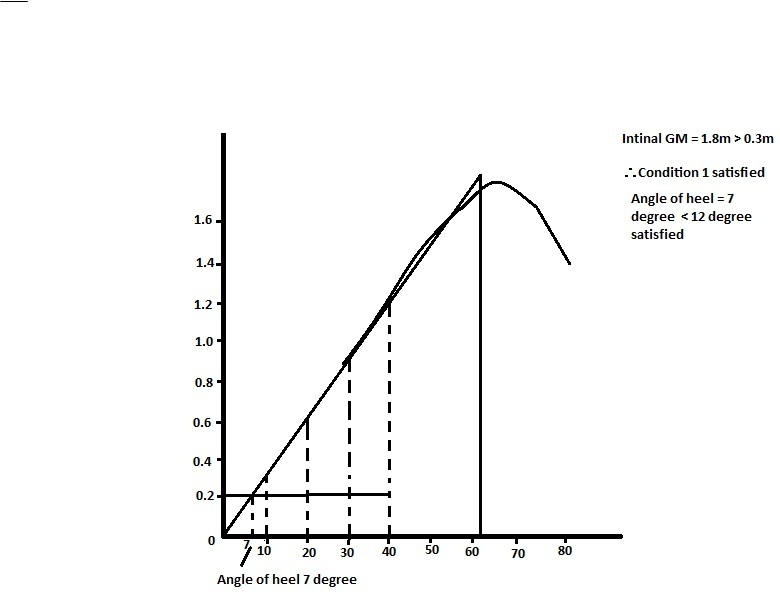 Angle of heel = 120 = Marginal. Hence, vessel satisfy intact stability requirement for grain cargo or grain loading criteria. The heeling arm at 00 = 0.275 metres. The angle of flooding is 400 and maximum difference between the righting arm and heeling arm occurs at an angle greater than 400. Verify whether the vessel satisfies the intact stability requirements for a cargo ship carrying grain in bulk. 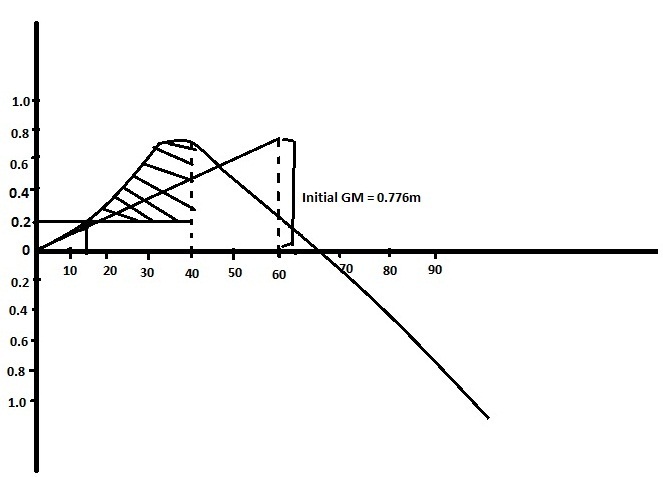 The heeling arm at 00 = 0.18m. The angle of flooding is 400 and maximum difference between the righting arm and heeling arm occurs at 430. Verify whether the vessel satisfied the criteria of stability for a cargo ship carrying grain in bulk (Assume the deck edge immerses at 100 heel). If her angle of flooding exceeds 400, ascertain whether the vessel complies with the intact stability requirements for such vessels. 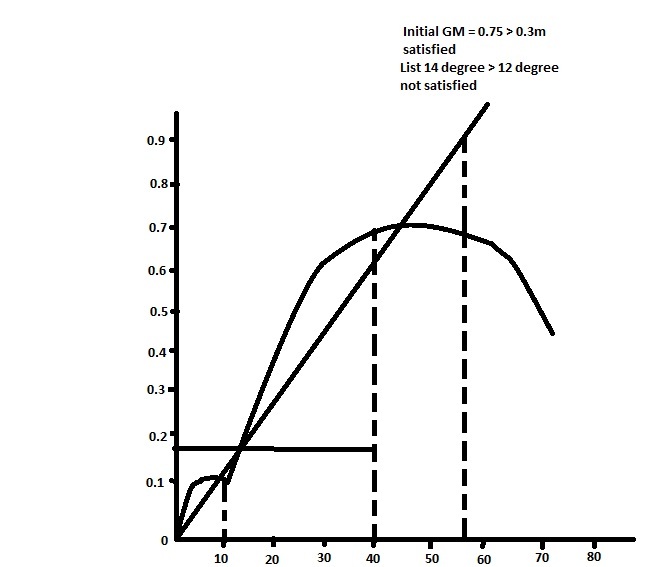 Hence, vessel does not satisfy intact stability requirement for grain cargo or grain loading criteria. Graduated from M.E.R.I. (Mumbai). A cool, calm, composed and the brain behind the development of the database. The strong will to contribute in maritime education and to present it in completely different and innovative way is his source of inspiration.